This is my first post for a while, as things have been a little bit busy over the summer but i have finally got around to making a few things of late which i am very happy to share. 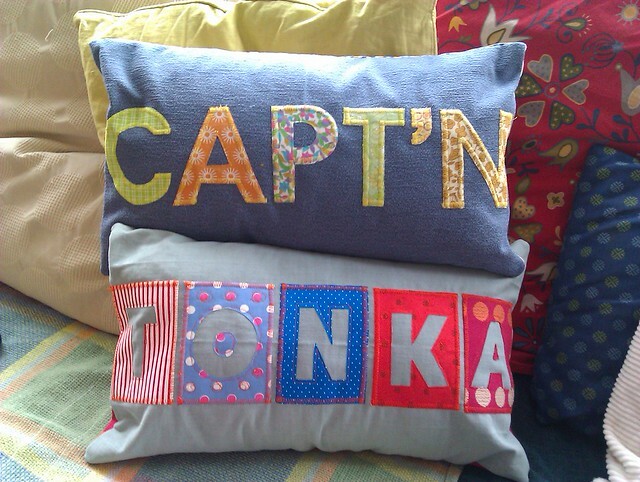 I made these 2 cushions for my boyfriends campervan. His van is called Tonka and his car is called The Captain! I think he was pretty chuffed. I am very happy to announce that i’m offering to make bespoke designs on request. Please get in touch and I will be happy to give you my prices. The designs below are 50 x 30cm but i can do any sizes required.